Screen Grab: [Your Company Name] Network Map. (Example) Embed in your website to help generate "One Order for One or More Locations" business. Then how do you leverage your trusted client relationships to scale your business when clients are reluctant to tell their competitors about you? ==> Offer One Order for One or More Locations Anywhere! 2. Embed the One Order for One or More Locations [Your Company] Network Map on your website. You make the difference between what you charge your client and what you pay a Matterport Pro for a Matterport Spaces 3D Tour; photos, video and/or aerial photos/video. 1. To get the embed code for the [Your Company Name] Network Map for your website, simply click on the My Profile tab (above) while signed into the Forum. 3. Send a link to your clients letting them know that you now offer One Order for One or More Markets and ask for referrals. I could imagine that for some Matterport Service Providers in the We Get Around Network Forum Community, providing One Order for One or More Markets could turn into a bigger business than scanning in your Market because you are leveraging your experience with other people's time for Matterport Spaces, still photography, video, Google Street View, aerial, etc. Matterport Service Providers are already using the We Get Around Network Find a Matterport Pro Map to source Matterport Service Providers around the globe. You may have already scanned for another Matterport Pro, so you already have some experience with a Matterport Pro that and makes the difference between what you charge and what the Pro charges his/her client. 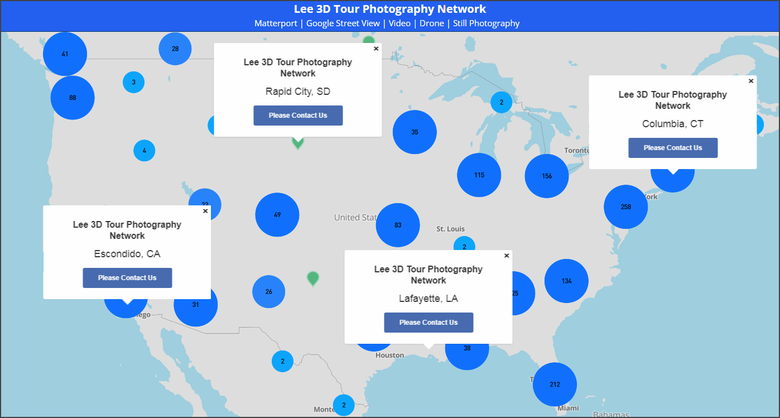 We want to empower you with tools – a Customized Network Map for you with your business name and contact info - and using the We Get Around Network Find a Matterport Pro Map - to Find the Pros in locations that clients are seeking. If you ever had an in-bound lead that was not in your location, what did you do? Give money away, or make money by letting the client know that you service that market and sub-contract the work. If you are in a small market, offering One Order for One or More Markets may especially help you succeed faster. If you never thought of doing this, imagine your trusted clients. Make it obvious that you offer Matterport anywhere to help your clients – and prospects – know this. What questions do you have about getting started scaling your business by offering One Order for One or More Locations? P.S. Not yet a We Get Around Network Basic, Standard or Premium Member? The One Order for One or More Locations Map is one of around 40 Membership Benefits.